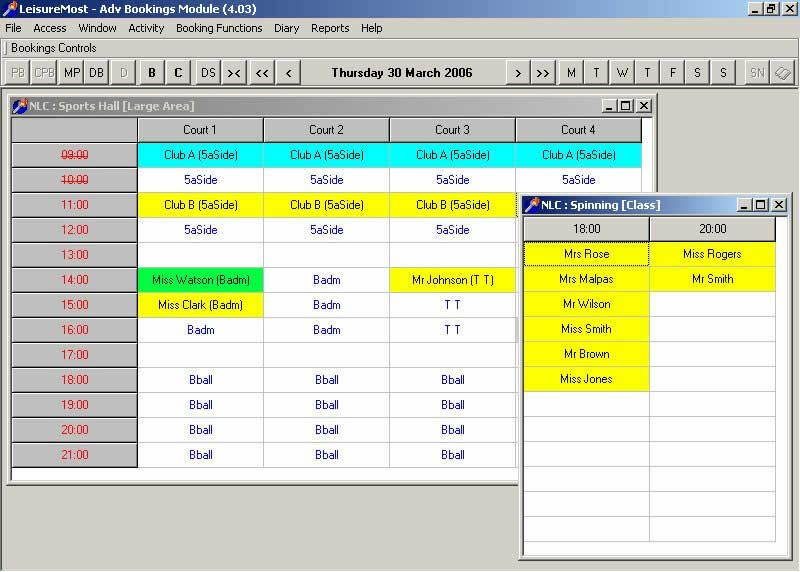 Our Bookings software is designed to replace your paper booking sheet and can save you time, money and effort. 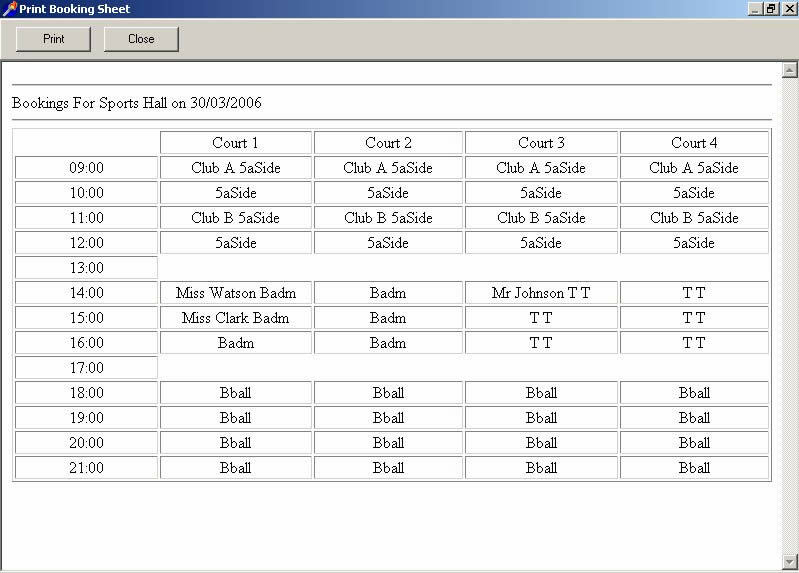 Any number of booking windows, activities and classes can be created and the details can be configured to the requirements of your leisure centre or gym. You can set the number of areas, the length of each time slot and do diary bookings days in advance. 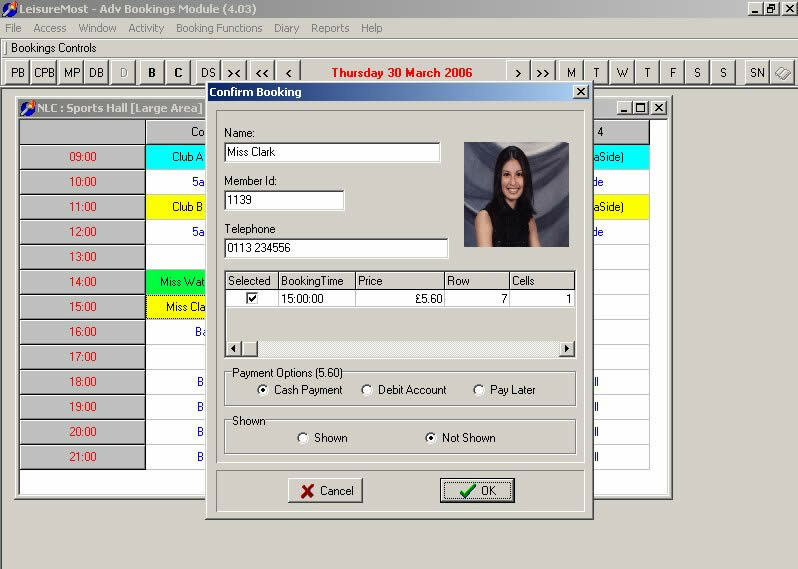 When linked to our Point of Sale module, the Leisure Bookings software will pass the details through for payment. The customer’s name, date, time of booking and cost will be shown on the receipt.